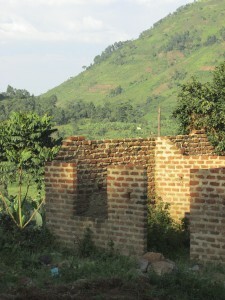 While in Uganda I witnessed an overwhelming amount and level of poverty. I learned to easily spot signs of malnutrition in children and saw firsthand the inefficiency of the government to provide adequate services. It occurred to me that while its very cheap to live in Uganda, the actual cost of living is incredibly high. The cost of being poor to the human body and spirit is a figure too high to measure. When you witness poverty at such a close proximity and for a prolonged period the perspective of “change” and “help” takes on a new dimension. I had a similar experience while I was working in Louisiana, post Hurricanes Katrina & Rita, with AmeriCorps NCCC. It is the experience of seeing a wall of problems and only a long road ahead. I used to say that I could get a new job in Louisiana and in 30/40 years retire and the they would still be hiring new workers. This wasn’t necessarily because of the damage from Hurricane Katrina and Rita, it was from the accumulation of years of poverty that had slowly deconstructed communities. The hurricanes simply sped up that process. I have heard people mention that they wish they could work themselves out of this job. That every morning you wake up and hope that today would be the last day poverty claims another life. However it isn’t and what do you do when you are standing in front of a wall that is preventing true growth and flourishing. At a PICO (Community organizing) training I attended years ago, they said the best thing you can do is to find one piece and pull it out of the wall. You keep doing this until finally the wall is too weak to stand. The solar lanterns are one piece of a complex system. The solar lanterns feel at times like just one brick in a huge wall. To keep deconstructing it is all we can do, even if you never see the wall weaken. Its not out of naiveté, its methodical and hard, and necessary for the soul. Another experience that many people talk about is the joy you witness, the love, the life that exists in the face of these issues. The solar lanterns aren’t bringing light to darkness. The solar lanterns join the light that already exists in the people who I met in Uganda. The light that was born and lives in Uganda. The solar lanterns allow us to participate in the growth of more light, in the dawning of students who are able to read into the night. We have 32 days left to raise just $700. Donate and please share this campaign. To learn more about the campaign visit the campaign website or this earlier blog post.